As you will have realised by now, I am a night bird. In the mornings, I stumble around in a bleary-eyed stupor of incomprehension and in the afternoons I wince at the sun. But as darkness falls my brain begins to focus and, by the time others are heading to their beds, then I am growing alert and settling down to write. 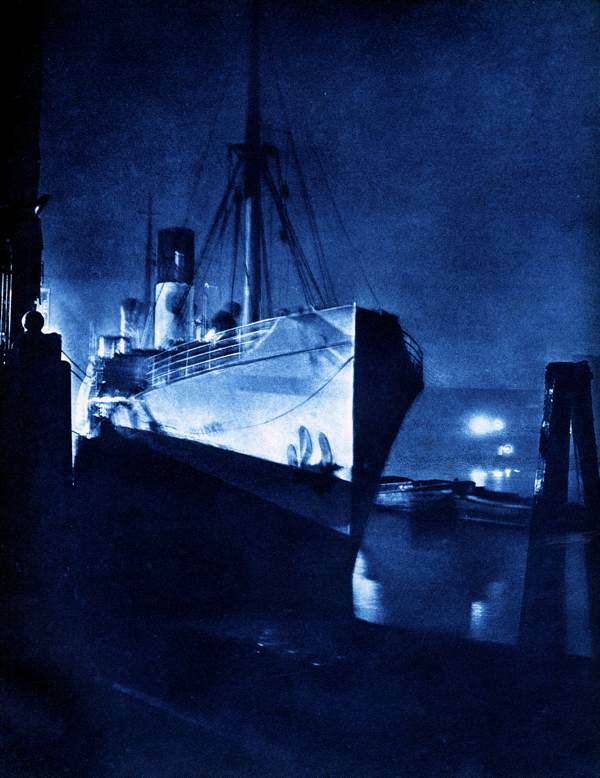 Once I used to go on night rambles – to the railway stations to watch them loading the mail, to the markets to gawp at the hullabaloo and to Fleet St to see the newspaper trucks rolling out with the early editions. 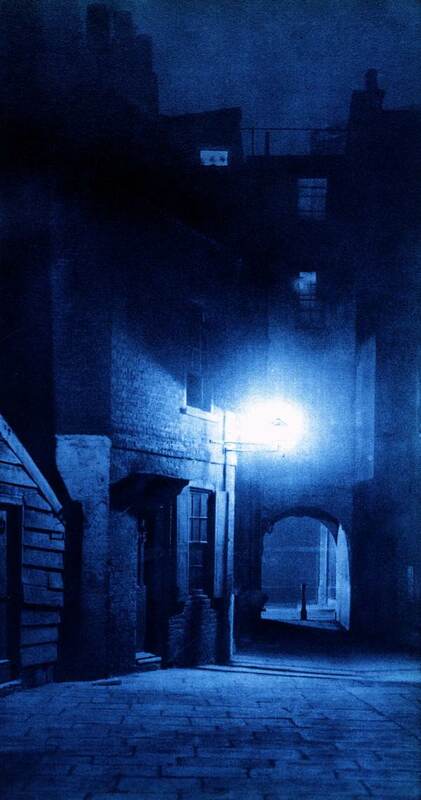 These days, such nocturnal excursions are rare unless for the sake of writing a story, yet I still feel the magnetic pull of the dark city streets beckoning, and so it was with a deep pleasure of recognition that I first gazed upon this magnificent series of inky photogravures of ”London Night” by Harold Burdekin from 1934 in the Bishopsgate Library. For many years, it was a subject of wonder for me – as I lay awake in the small hours – to puzzle over the notion of whether the colours which the eye perceives in the night might be rendered in paint. This mystery was resolved when I saw Rembrandt’s “Rest on the Flight into Egypt” in the National Gallery of Ireland, perhaps finest nightscape in Western art. 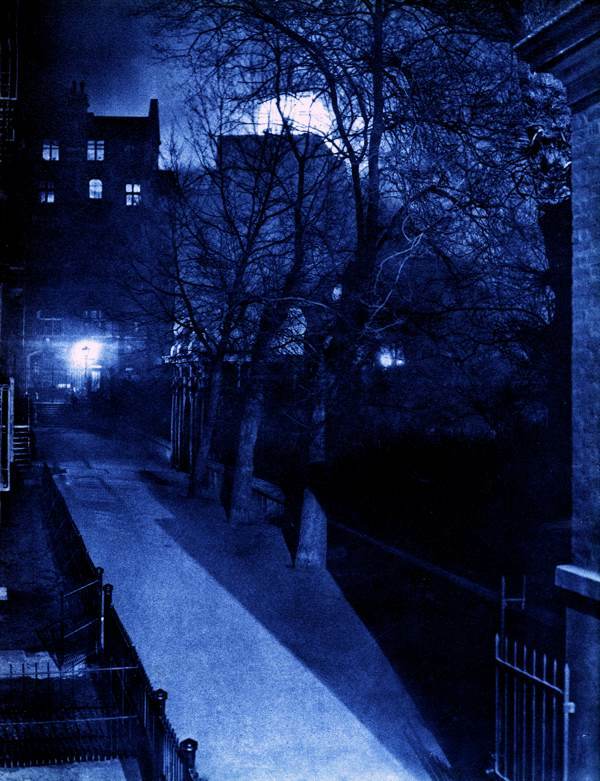 Almost from the beginning of the medium, night became a subject for photography with John Adams Whipple taking a daguerrotype of the moon through a telescope in 1839, but it was not until the invention of the dry plate negative process in the eighteen eighties that night photography really became possible. 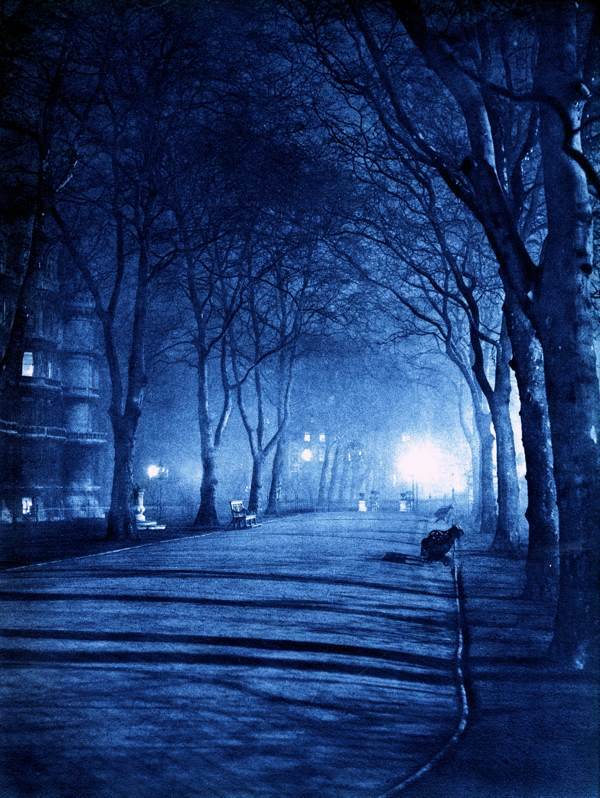 Alfred Stieglitz was the first to attempt this in New York in the eighteen nineties, producing atmospheric nocturnal scenes of the city streets under snow. 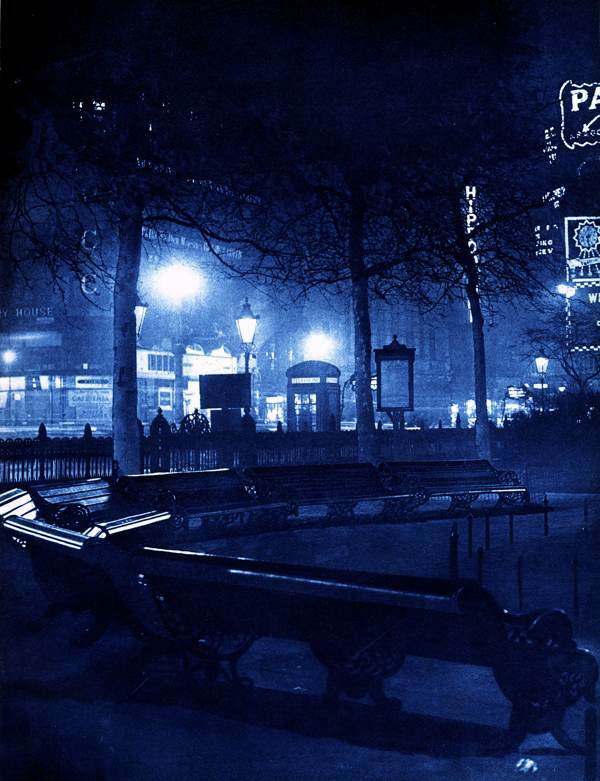 In Europe, night photography as an idiom in its own right begins with George Brassaï who depicted the sleazy after-hours life of the Paris streets, publishing “Paris de Nuit” in 1932. 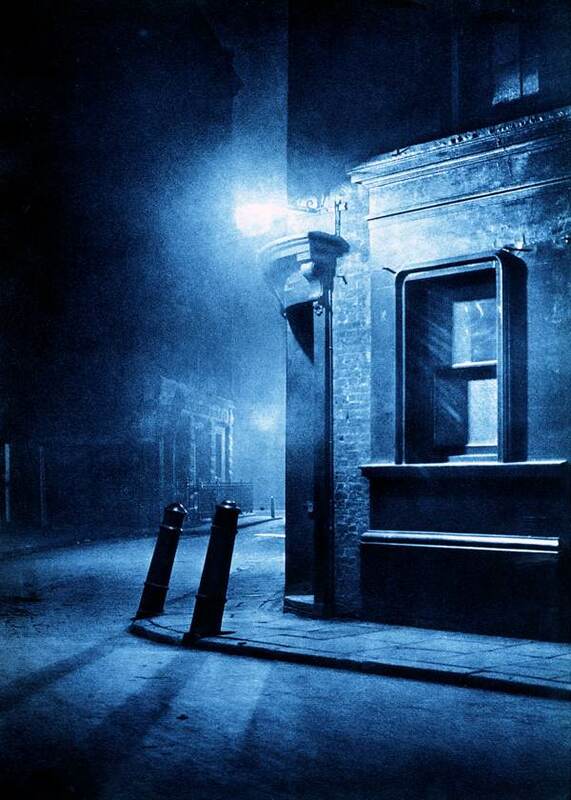 These pictures influenced British photographers Harold Burdekin and Bill Brandt, creating “London Night” in 1934 and “A Night in London” in 1938, respectively. 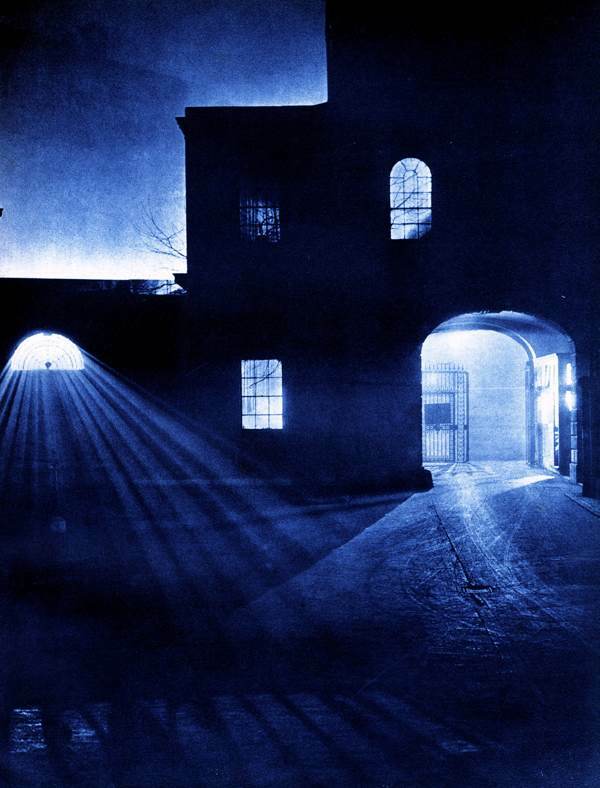 Harold Burdekin’s work is almost unknown today, though his total eclipse by Bill Brandt may in part be explained by the fact that Burdekin was killed by a flying bomb in Reigate in 1944 and never survived to contribute to the post-war movement in photography. 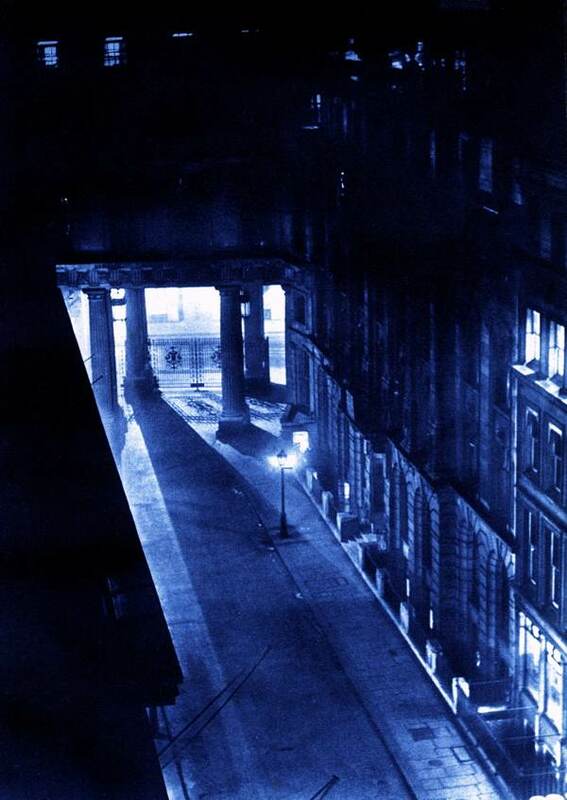 More painterly and romantic than Brandt, Burdekin’s nightscapes propose an irresistibly soulful vision of the mythic city enfolded within an eternal indigo night. 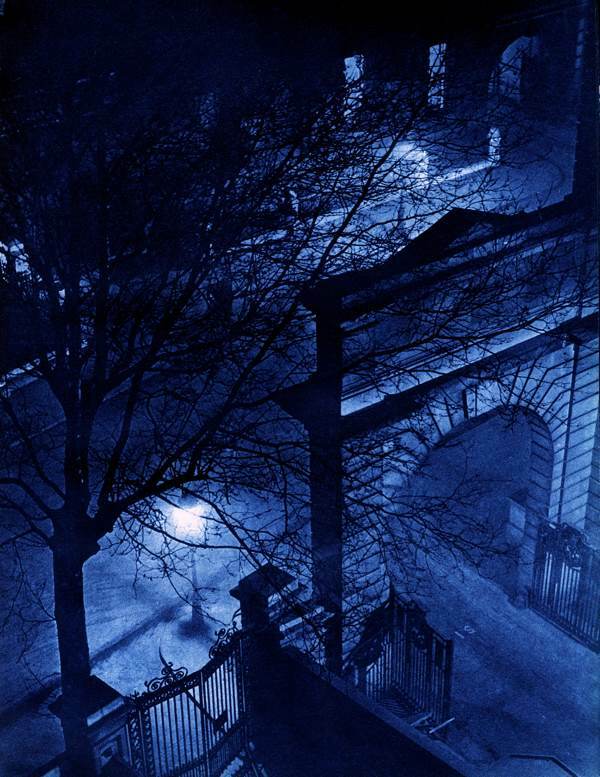 How I long to wander into the frame and lose myself in these ravishing blue nocturnes. Spectacular and gloriously moody. Thanks for posting these! 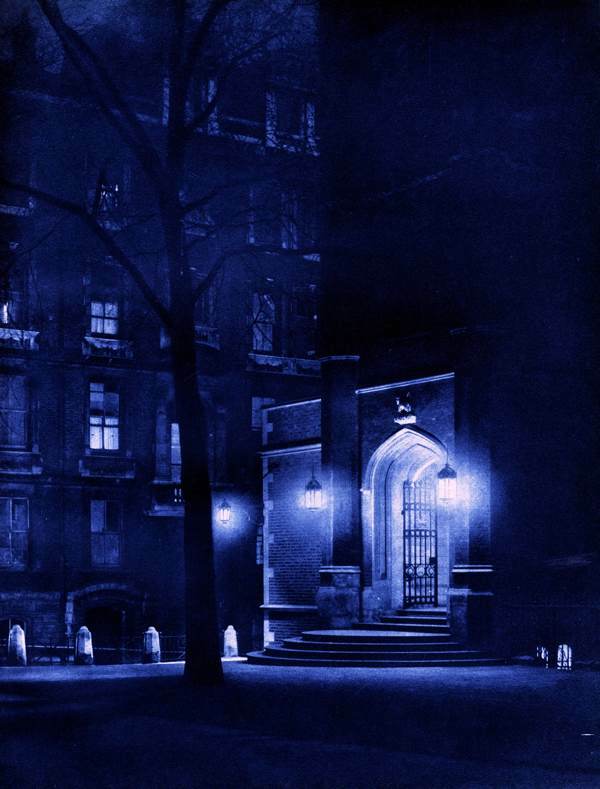 Such evocative photos…Thanks for bringing them to light! 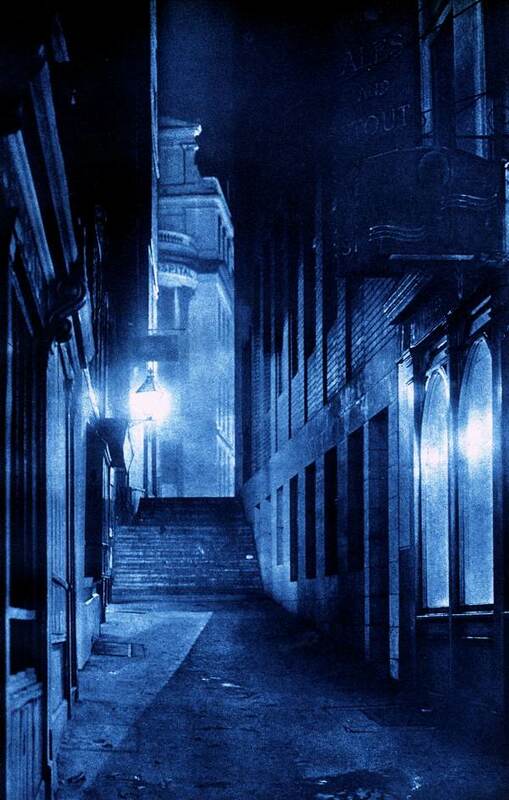 The printing method and the blue definitely adds to the mystery of the peopleless night, presumably looking that way from the long exposures he would have used. Is the view ‘From Villiers St’ of Watergate Walk next to Gordon’s Wine Bar? Stunning photographs, thank you for sharing them with us. Simply wonderful. Thank you for enriching our lives! 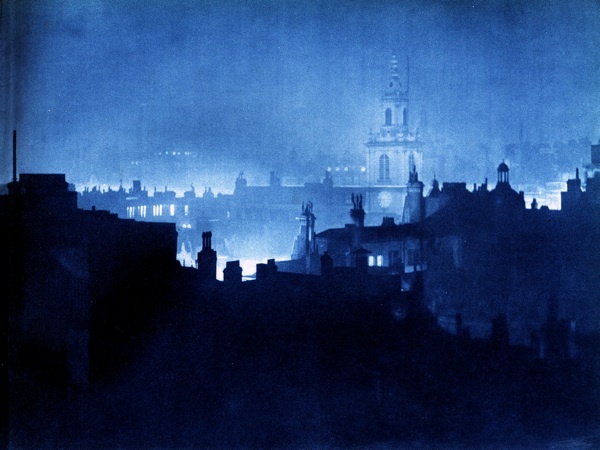 Marvelous, evocative and moody images. Thank you for highlighting them. Lovely, atmospheric. But am I alone in expecting Dr Who to appear around a corner? William Hartnell’s era, I think. All atmospheric but particularly like St Botolph. 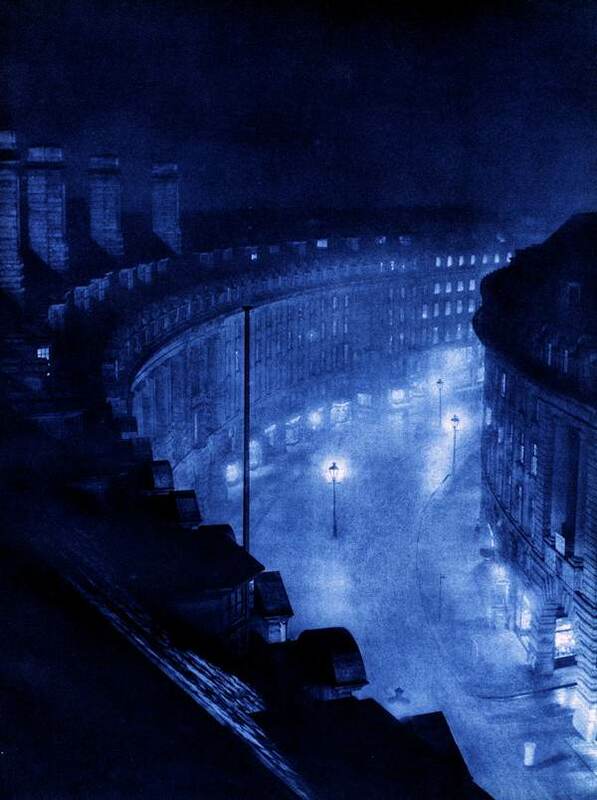 Wonderful indigo inky shots and Regent Street looks like a river! Thank you GA for these hidden nighttime city shots! 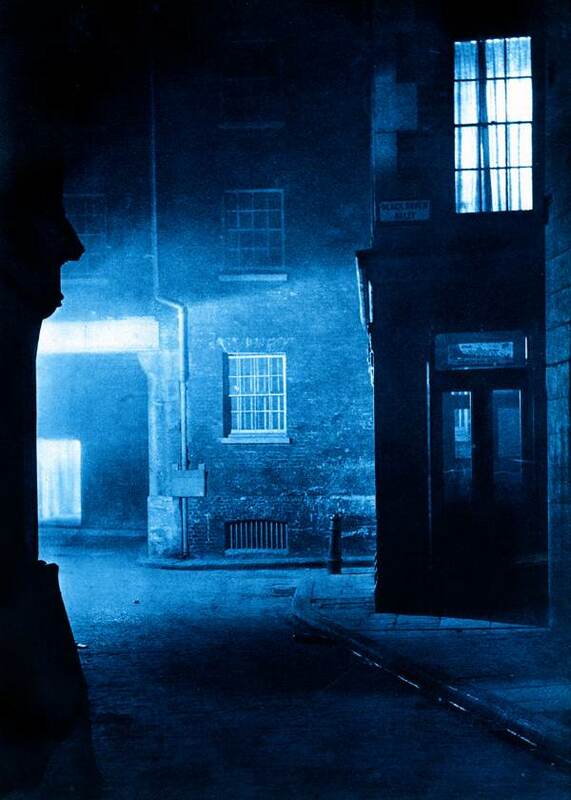 On the 17th April 1951 I went to my first day of my working life to 35 Great St Helens Bishopsgate, EC3, Is this the St Helens Bishopsgate shown in that photograph? It doesn’t seem to strike any cords in my memory. Superb! Has the ‘Street Corner’ been identified? Beautiful photographs, the light effects and composition are wonderful. There is something mysterious about towns and cities in the small hours of the night.